Our fun bulldog ceramic plaque is ideal for anyone who loves their dogs. 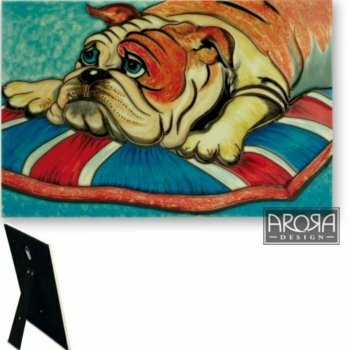 This plaque has a beautiful bulldog lying on a union jack cushion as its design. The plaque is ceramic and comes gift boxed so would make a perfect present. The plaque can be left free standing or can be hung on a wall.